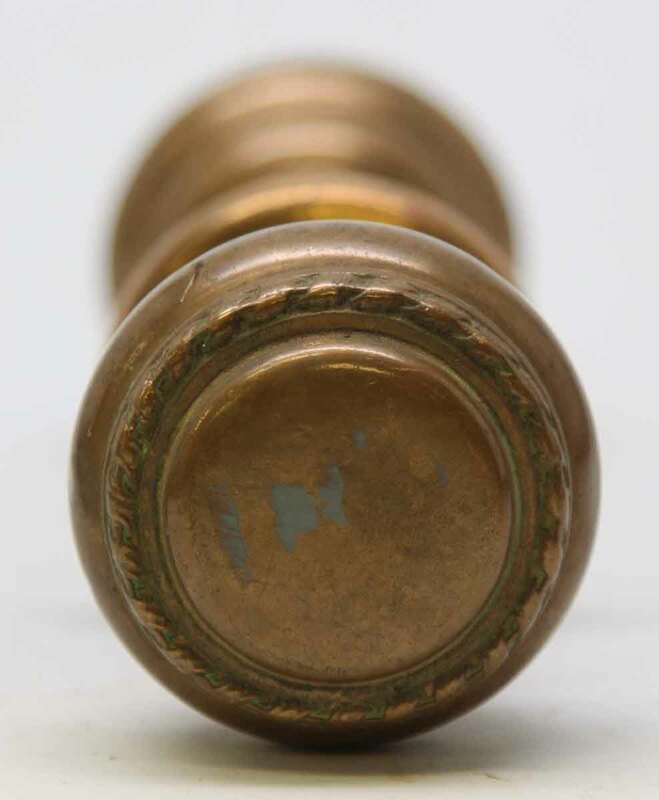 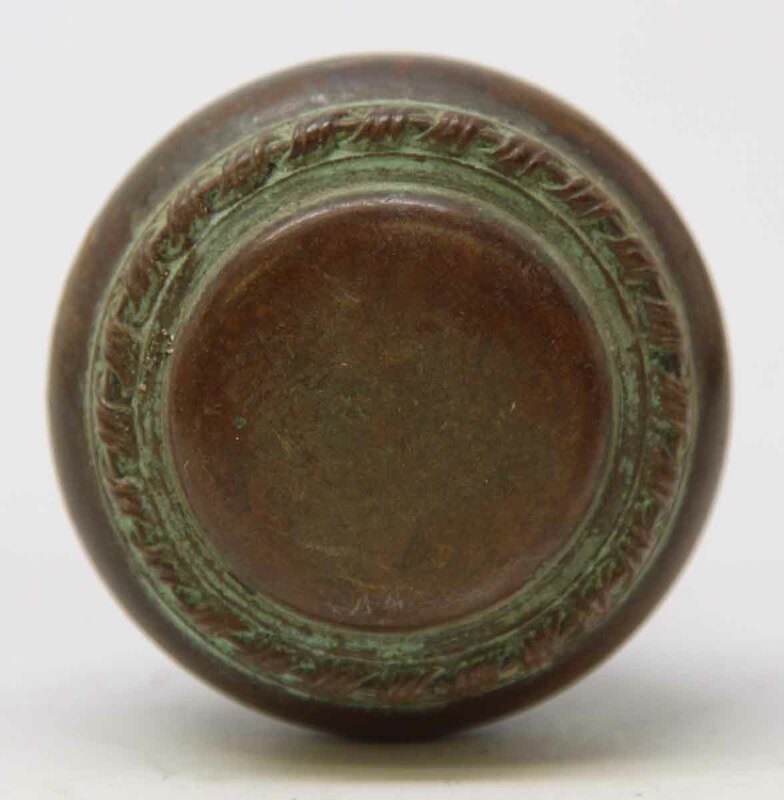 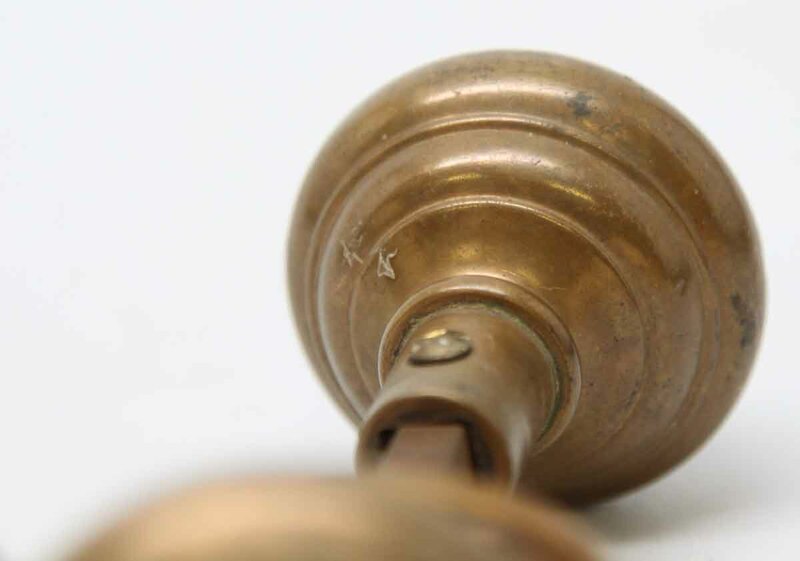 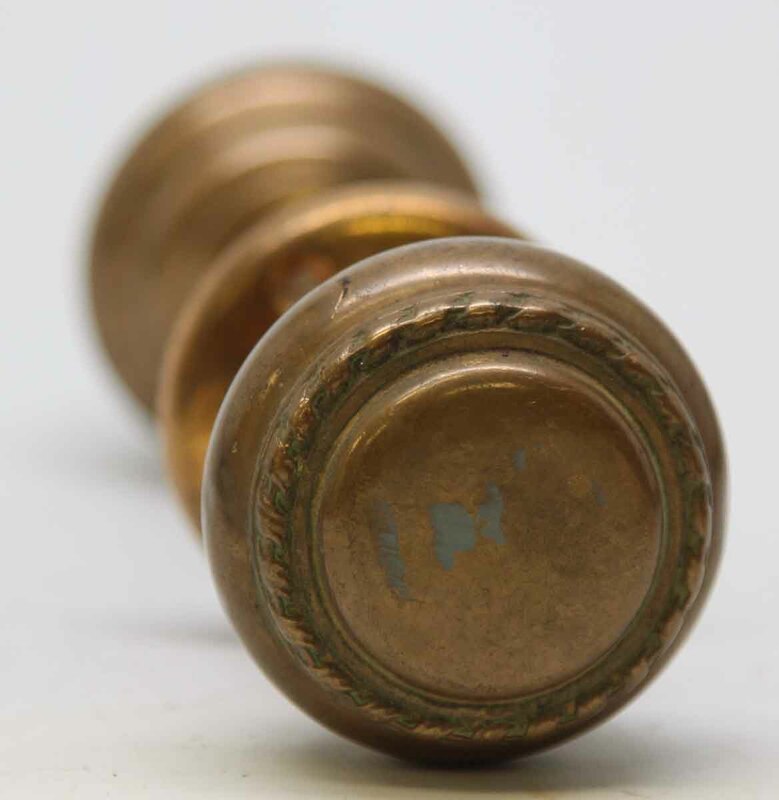 These bronze knobs have a rope motif on the face and beautiful original patina. 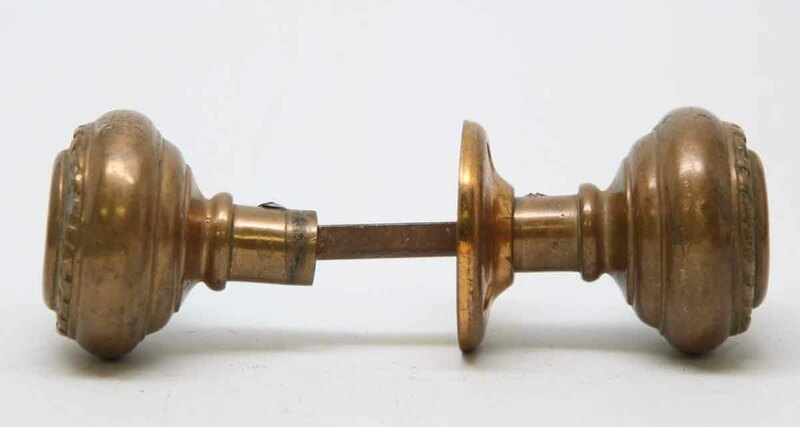 Set includes two knobs, a rosette and a spindle. 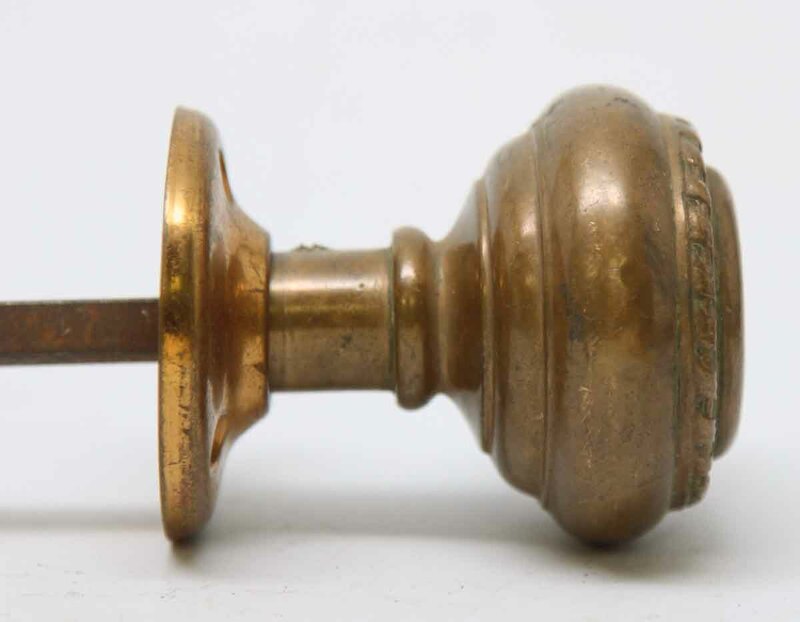 There is one additional knob available as well. 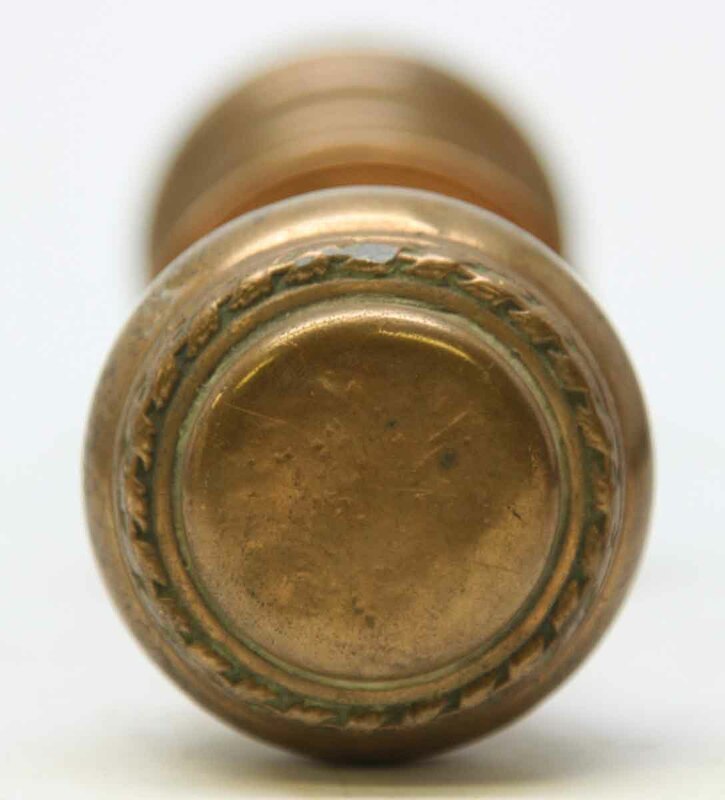 Very similar style to M228251.